Whilst social scientists approach cities from rational and technical perspectives, it’s often interesting to get some inspiration from the creative arts world. Linking with artists is an emerging trend at CASA, with collaboration with Edinburgh College of Art through the TalesofThings project, the use of common visualisation tools such as Processing, and recent events like James’s presentation at the Mapping London Life event. A shared challenge for artists and scientists is exploring the dynamics of cities, from the buzz of daily street life to the slower demolition and creation of the built-environment. 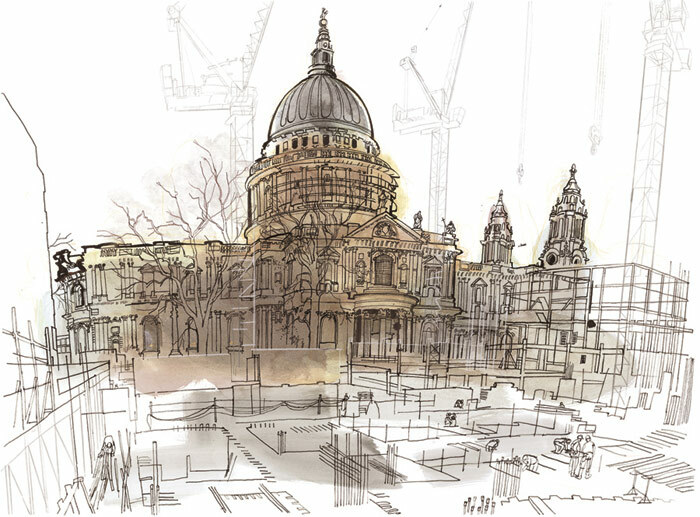 An artist I admire for capturing these flows through static images is Lucinda Rogers, whose works have recently gone online on a new website. 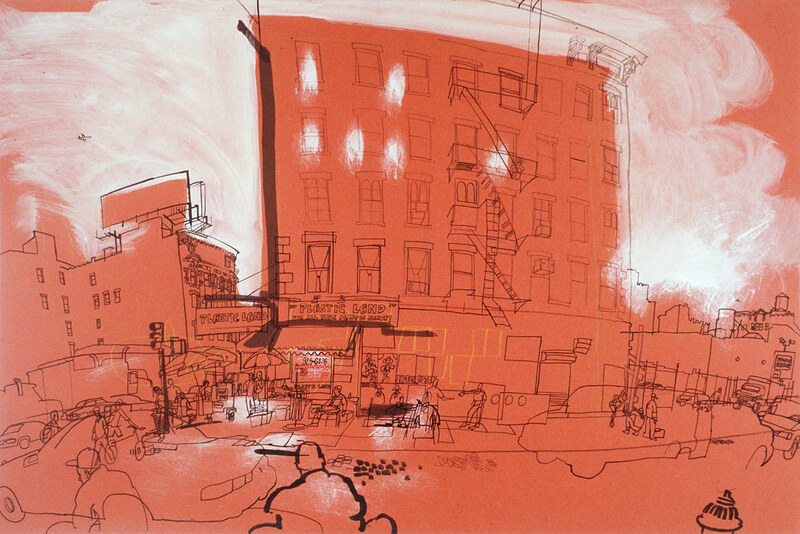 Her illustrations of street life in New York and London use line thickness and blurred colour to give the impression of forms in motion- from pedestrians and cars on the street to cranes dancing around St Pauls. 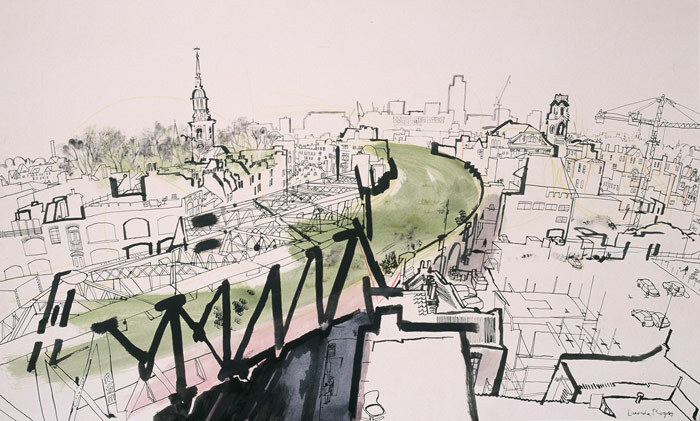 Rogers tends to choose Inner City subjects just at the edge of the centre, where gentrification processes are in tension with the historic fabric and traditional industries- locations such as Shoreditch and mid-town Manhattan. In this sense New York and London have much in common. 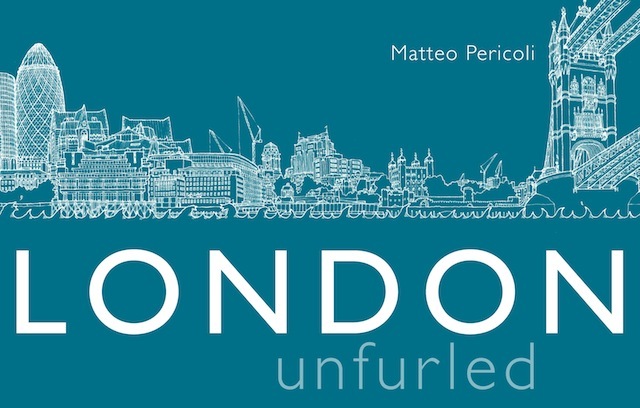 Another interesting London illustration book recently released in London Unfurled. Matteo Pericoli has done a series of books of super-long panoramas, published concertina style in one very long folded sheet. For London he follows the Thames from Hammersmith to Greenwich, with the north bank on one side of the page and the south bank on the other. This works well as the Thames is a key way to ‘learn’ the form of London, from historic panoramas to the present day. 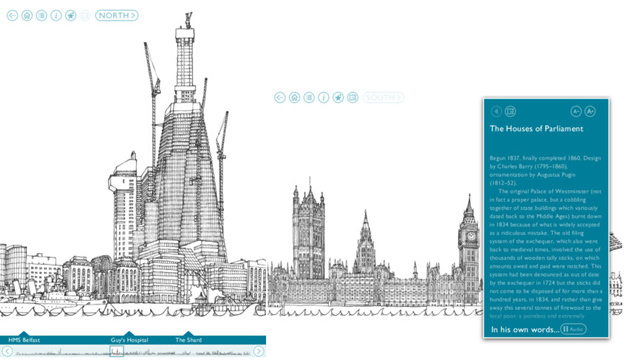 If a 20 metre long panorama is too big for your coffee table, London Unfurled also comes in ipad version.